Logging in to your Google Ads account. Going to the Campaign you want to adjust. Choosing the Overview > Settings > Bidding options from the left-hand toolbar. The default is the manual CPC, which means you will manage the bids on each keyword. Target CPA – average cost per acquisition. If you choose this, you set what you want to pay per lead. If you set this amount too low, you won’t get any leads. Consider a target of $25 to see if you get leads. The Google algorithm typically puts your bid amount into a range, say $25 – $35. You can always adjust it if you do not get any leads. Target ROAS – return on ad spend. In this option, you’ll enter the percentage of ad spend that you want to get a good return on, for example, 50 percent or 100 percent. The algorithm will then work to help you meet that target. Again, if your amount is too low, you’ll not get any leads. Maximize clicks – as it says, this option is set to help you get the most number of clicks for the maximum bid amount you set. If you do not put a dollar amount in this field, Google will get you clicks, but you could spend over $100 on them because you didn’t set a price. Be realistic in your amount here and base your number on keyword research so you know how much the best-performing terms will cost. Note: During trends or high-profile seasons, e.g., tax season, terms can increase to double-digit numbers when before or after those times, they may have been below a dollar. Maximize conversions – for this one to work, you should have previous campaign data with a lot of conversions in it. If you don’t, avoid using this one until you do. At a minimum, you should have had at least 20 conversions in the past 30 days. How it works, it the algorithm looks at your conversion history and then auto bids for you to get as many conversions as possible. Target search page location is great to help your ads appear at the top of the search results page – and who doesn’t want that? In this option, choose from either the top of the page, or anywhere on the first results page. 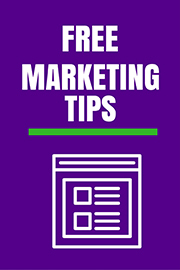 If you choose anywhere, your ads may appear at the bottom of the page consistently. Target outranking share – is good for big, branding campaigns. This option allows you to enter your competitor’s domain name that you do not want to appear below or above. Enhanced CPC is a supplement to the manual CPC, but with a boost. What happens in this instance is the algorithm notices an increase in traction for a keyword term in which you’ve not adjusted the bid. It will automatically adjust the bid for you slightly to gain you more conversions. For some of these options to work, such as Target CPA and ROAs, your budget needs to be significant, like a few hundred dollars per day. Now that you know what the bidding options are, will you be adjusting your campaign?